Disclosure: This is a sponsored conversation with TheMotherhood. All opinions are 100% my own and may differ from yours. I will only endorse companies, products and services that I believe, based on my own experiences, are worthy of endorsement. A couple of weeks ago I shared with you information about the March of Dimes #imbornto initiative. It’s where some amazing companies partnered with March of Dimes to help YOU help March of Dimes by shopping at certain businesses for Mother’s Day (or any day, really). 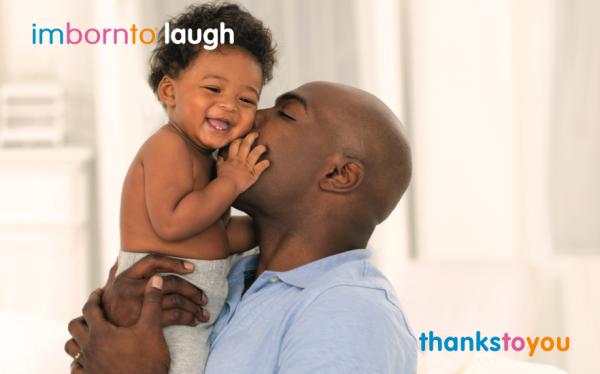 March of Dimes doesn’t want to forget dads and the incredible role they play in children’s lives every day. All babies are born with a purpose and moms AND dads help their children achieve that purpose. Sometimes babies are born needing even more help… that’s where March of Dimes step in. The March of Dimes imbornto campaign celebrates the great things babies are born to do and thanks mothers and fathers who are the guardians and protectors of babies’ hopes and dreams. From Mother’s Day to Father’s Day, the March of Dimes encourages consumers to shop, donate or take part in partner promotions to support the cause. Visit imbornto.com to learn more about special Mother’s Day and Father’s Day offers from our partners. and gave 90,000 families with a newborn in intensive care comfort and information through NICU Family Support®. Please visit imbornto.com for more partner offers and information. Remember, every day is Mother’s Day and Father’s Day! 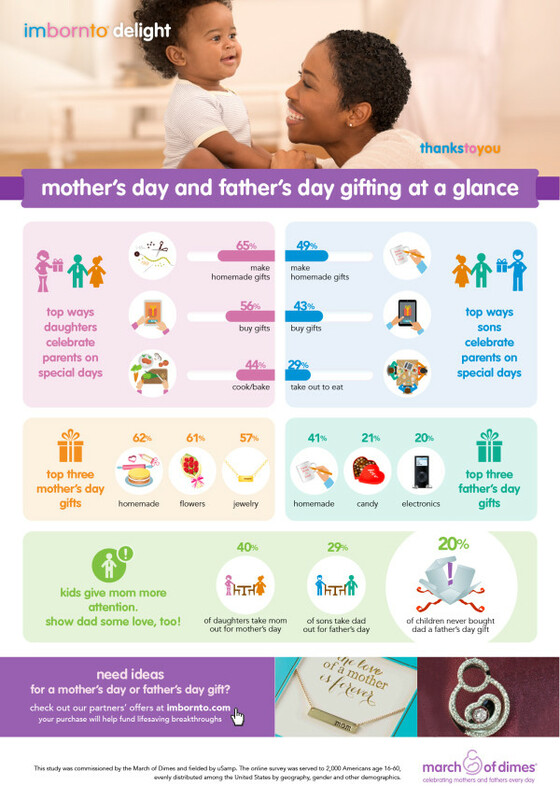 What’s your favorite gift to give and/or receive for Mother’s or Father’s Day? The March of Dimes is such a wonderful organization. I love that they help the smallest of us who need the biggest help. I love that March of Dimes is there for babies/families. But I really love that I can support them just by shopping! Now, to buy some Blue Rhino! I really love seeing a push for more awareness of what the March of Dimes does. Their work is so important for the little ones. The March of Dimes does so much good. We have always supported them! I love seeing more awareness for March of Times! Such a great organization. This is among my top top 10 charities to support,they do great work. March of Dimes is so incredible. It’s so important to help out when we can! This is really great to see! I really appreciate what March of Dimes does for people. Those gifting statistics are really interesting. They support such a good cause. I love homemade gifts! The March of Dimes is an amazing organization. It is important to help support them however we can. March of Dimes is an incredible organization. I have been supporting them for over 40 years. We’ve been a supporter since I was a kid and it is a tradition we continue to this day in our own house with our kids! First time heard of this. I hope it grows as dads are precious! I got jewelry for Mother’s Day. Many great companies support March of Dimes. Great cause. This is a great Father’s Day idea. I love that the gifts support March of Dimes. The March of Dimes is such a helpful organization. They’re doing amazing things! This sounds really great. A wonderful and helpful organization. The work the March of Dimes continues to do is so impressive. I am thankful there are organizations taking care of our smallest and most precious. Great initiative… The March of Dimes have done some incredible things for so many! I’m a huge advocate for the March of Dimes. I was a MoD baby. Wonderful and helpful organization. I love what March of Dimes does. They are such a wonderful organization! I think March of Dimes is such a great cause! This a great post. Thanks for sharing. The March of Dimes has always done such great things! And for so many years too! I love March of Dimes. I’m so glad my husband and I were able to walk in their fundraiser together with our two preemies. The March of Dimes is such an amazing organization. So glad to see so many businesses helping their cause!